Krishnappa Gowtham is an Indian cricketer who plays first-class cricket for Karnataka. He was born on 20 October 1988 in Bangalore, Karnataka. Gowtham is a right-arm off break bowler and bats right-handed. He is seen as a clever spinner who can spin the ball both ways and deceive batsmen with his flighted deliveries. He has mostly played first-class cricket and has not made forays into the national side. Krishnappa Gowtham began playing cricket with passion at a very young age and made an entry into the under-15 zonal tournament held in Bangalore and ended up as the tournament’s second-highest wicket taker. From there on, it was clean pickings for the Bangalore lad as he went on to get selected for the Ranji Trophy in 2012. The spinner has always been passionate about the sport and has put in some amazing performances for Karnataka over the years. Gowtham has represented the following teams - Karnataka, Mysuru Warriors, India A, Mumbai Indians, Belagavi Panthers, India Red, and will represent Rajasthan Royals in the 2018 IPL season. In spite of his impressive performances for his domestic side, Gowtham has so far failed to make it to the senior national side and played only for the A team. He made his first-class debut on 17 November 2012 in the Ranji Trophy against Uttar Pradesh at Meerut. 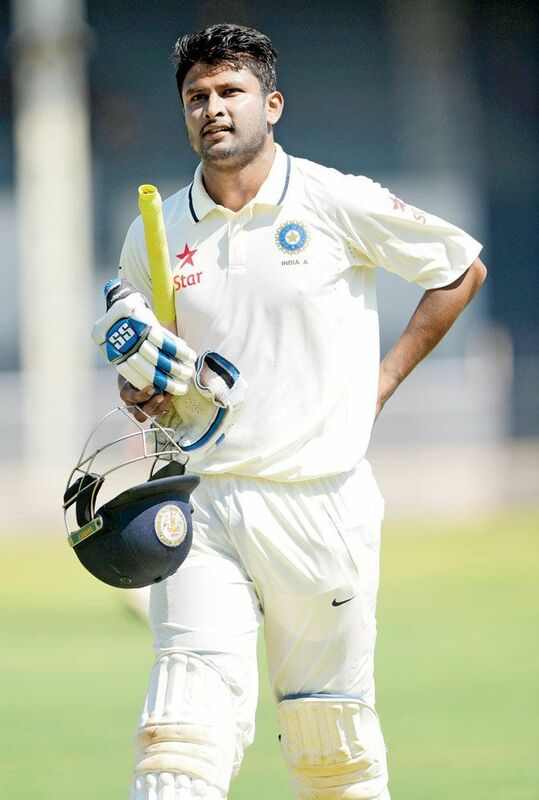 He picked up the wickets of Suresh Raina and Bhuvneshwar Kumar in the second innings. On 16 October 2011, Gowtham made his T20 debut against Chennai in the Syed Mushtaq Ali Trophy. He bowled just an over and went for 12 runs ending up wicketless. Karnataka won the match by 40 runs. Gowtham made his List A debut on 25 February 2017 in the Vijay Hazare Trophy playing against Jharkhand. He impressed by picking up 4 wickets and helping Karnataka to a 5-run win. Gowtham impressed selectors by putting in consistent performances in the Ranji Trophy since 2012. In the 2016-17 Ranji Trophy, Gowtham showed his brilliance by picking up two consecutive five-wicket hauls against Delhi and Assam and helped his team to victory in both games. This tournament included his stunning 18 wickets from just three matches which led to his selection for India A. In 22 first-class matches, Gowtham has picked up an impressive 79 wickets at an average of 25.13. His best match figures are 10-142, which is his only 10-wicket haul. More than the Ranji Trophy showings, Gowtham adapted well to T20s and soon became a specialist. He has played 27 T20s and picked up 20 wickets while maintaining an economy of 7.06. In 2018, Gowtham made headlines when he was bought for a whopping 6.2 crores by the Rajasthan Royals in the IPL auctions. He was overjoyed at the prospect of getting a chance to play in the coveted league and has said that he looks at this as an opportunity to fulfill his dreams. IPL Fantasy 2019: Match 4, RR vs KXIP: Who would be the X-Factor in today's game?